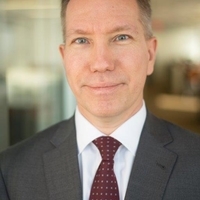 Gregory A. Koenig is a Lead Specialist Data Scientist working for a "Big Four" professional services firm where he specializes in cloud computing, big data engineering, machine learning, and optimization. He is also a co-lead of the Energy and Power Aware Job Scheduling and Resource Management team of the Energy Efficient High-Performance Computing Working Group. During his career, he has developed scalablesystem software such as parallel runtime systems, message passing layers, and job scheduling and resource management systems for high-performance supercomputers at Oak Ridge National Laboratory and at the National Center for Supercomputing Applications. Koenig holds a PhD and MS in computer science from the University of Illinois at Urbana-Champaign and three Bachelor of Science degrees (computer science, electrical engineering technology, and mathematics) from Purdue University Fort Wayne.